A bucket list trip done & dusted! 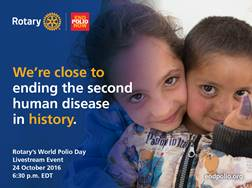 Rotary has numerous programs for our young people. Each year The Rotary Club of Maffra and The Gippsland Times advertise for community nominations for their Awards which are presented at The Rotary Club of Maffra Australia Day BBQ. There are three categories which are Quiet Achiever for an Individual, Quiet Achiever for a Community Group and Quiet Achiever for an Individual under 30 years of age. 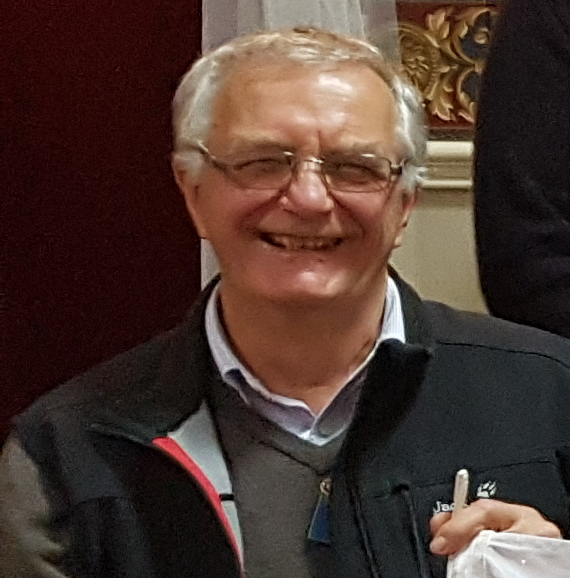 This year two Awards were presented by Cr Malcolm Hole. The first Award was made to all of the volunteers at the Maffra Hospital and McDonald Wing for their continuing support and volunteer time. Their time and energy is always greatly appreciated as it empowers the residents to lead fulfilling lives. Their practical support is invaluable; providing helping hands with transport, for outings such as lunch, morning teas, shows and even the Christmas lights. The volunteers spend time listening to the many stories the residents have to share. Volunteers kindly bring dogs to visit, as many residents have had pets in the past and love to see animals, including the Rotary Club of Maffra member who kindly brought a pony into the hospital which was led right up to resident’s bed side! Another Rotary Club of Maffra member recently helped one resident fullfill his dream of seeing Led Zeppelin play when the tribute show appeared in Sale! The second Award was presented to Bernadette Wiggins who has been associated with the St Vincent de Paul Society in Maffra for over 30 years. She has served two terms as president, has been a member of the Welfare Team throughout most of this time, accepting responsibility for having the phone and visiting families and organising assistance as required. Bernadette can be found at the St Vincent de Paul site virtually every day sorting and pricing goods. On our monthly Sale Day she also accepts responsibility for pricing all furniture. Each Christmas, Bernadette liaises with the Lions Clubs of Maffra and Sale, as well the Salvation Army and Uniting Care volunteers to compile lists of families requiring Christmas hampers and gifts for their family members. Bernadette has also found time to regularly work in the Vigilance Op Shop, as well as caring for an elderly neighbour. Her efforts over many years caring for other people have been constant which, at times exerted strain on her own physical health and on her own social life. Bernadette has adopted the vision statement of the St Vincent de Paul Society of offering people a hand up with respect and dignity. In her life, Bernadette has assisted many people, quietly achieving an enormous amount of benefit for people in Maffra and surrounds. The Rotary Club of Maffra would like to thank the Maffra Girl Guides who raised the Australian flag, the Maffra Municipal band and the Gippsland Woodwind Trio for providing some musical entertainment and the WSC for an Australia Day grant. A fascinating and wide ranging talk that kept everyone enthralled. Karen was born and raised on a Newry dairy farm. She was a Girl Guide, winning a Baden Powell Award. She also took part in the Duke of Edinburgh Award Scheme. She is married to Rob and they have 4 children. Karen began her medical career in 1989, doing her internship at Melbourne University and then Geelong and Warrnambool Hospitals. She did her physician training at St Vincent’s in Renal Medicine and Nephrology from 1999 to 2001. A PhD in 2002 was followed by a move to Boston to attend Harvard Medical School from 2004 to 2006. She also ran the 2005 Boston Marathon. In 2006, she returned to St Vincent’s and in 2011 became the Co- Director specialising in Research of Kidney Disease and transplantation. Currently Karen is Deputy Head of the School of Medicine at Deacon University and a Professor of Medicine. Currently Karen is a clinician researcher. Her work consists of 10% Clinical work, 30% research and 60% leadership and education. In March 2011, she led the team that performed the first hand- transplant in Australia. 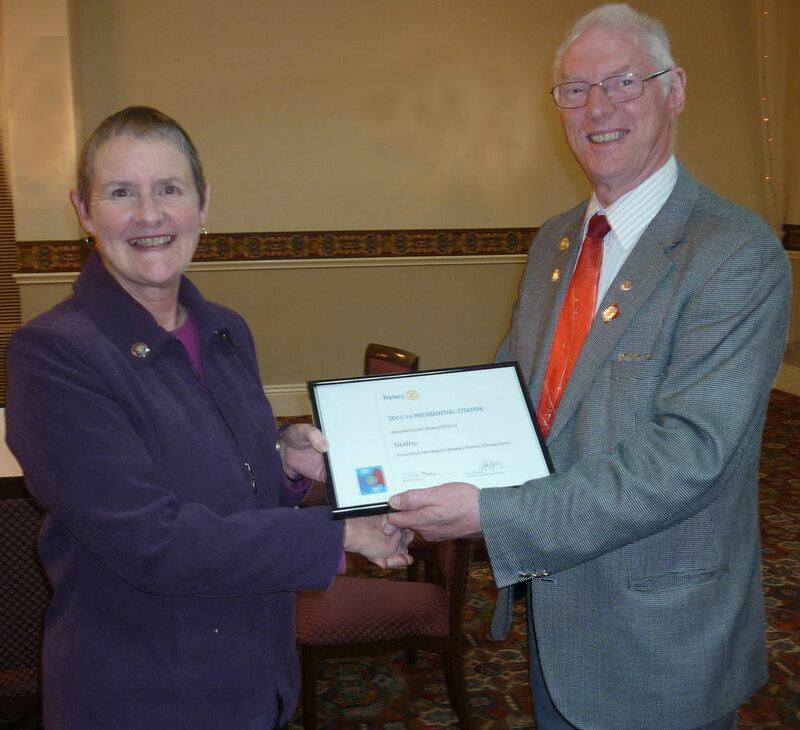 Jan Sigley, a member of the Rotary Club of Toorak, was introduced by Dianne Honey. Jan first paid tribute to Dianne and the club for their heavy involvement in supporting the programme which recycles unwanted hearing aids. Jan’s involvement in Recycled Sound came about through a chance remark she made to a guest speaker from Blamey Saunders. It has grown from there with over 1700 hearing aids worth $4 million placed back into the community. Recycled Sound is a Community Service Project initiated by the Rotary Club of Toorak to collect, clean, reprogram and recycle hearing aids. The refurbished hearing aids are given to the Victorian Hearing Aid Bank. They are provided to people who are unable to meet the expense of purchasing hearing aids which can range from $5000 to $10,000. Many people simply struggle to live with their hearing loss. The issue mainly affects people in their 30’s, 40’s and 50’s, who represent our community’s most marginalised and disadvantaged. Between the ages of 24 to 65 there is no subsidy for hearing aids. Audiologists from Blamey Saunders and Better Hearing Australia undertake specialist cleaning and reprogramming to enable the hearing aids to be recycled. Apart from this project being a humanitarian one, it is also reducing the impact on the environment by taking the unwanted products out of landfill. The Rotary Club of Maffra has collection points in four pharmacies; Maffra, Stratford, Priceline-Gippsland Shopping Centre and Balfours-Sale. 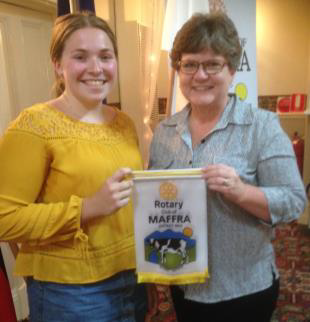 At the club meeting on Thursday December 1st, Hannah Nicholls who the club is sponsoring to Austria as our 2017 YEP Student and who is shown here receiving Maffra Rotary Club banners from President Sue Gray, gave an excellent presentation which included an overview of our country, her home town, and the geographical and political aspects of Australia. This is the presentation she will be making to her host clubs while she is overseas and as such was well received by all present at the meeting. We are confident that she will be a credit to our club wherever she goes. Hannah lives in Stratford with her parents, sister, brother and two dogs. Hannah was introduced and thanked by Youth Director Sharon Knight, the club members showed their appreciation in the usual manner and talked with Hannah and her mother after the meeting closed. Our meeting on 6th October was in recognition of Hat Day, which draws attention to mental health. Guest Speaker Steve McNulty was a welcome addition to the evening, sharing with us an eye-opening presentation on Mental Health. Steve’s background is in psychology and school counselling. Alcohol use is most influential in mental disorders in youth, apart from the greater expectations placed upon them by modern society. Dignity in Mental Health comes through Mental Health First Aid. Through training our community will have the skills to assist others. Then President Ross Neilson, on behalf of the Rotary Club of Maffra, put together a proposal at the beginning of his presidential year, 2015-16, and submitted it to The Rotary Foundation to establish a memorial recognition program to honour those Rotary aid workers who have been killed in performing Rotary's Polio Eradication humanitarian programs. It has taken some time and a number of discussion points between the Rotary Foundation and the Rotary Club of Maffra, but the outcome for the establishment of Rotary International Memorial Scholarships has been approved. 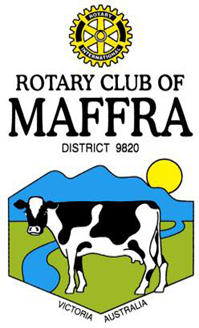 District Governor Lynne Westland said that Ross Neilson, Past President, and the members of the Rotary Club of Maffra are to be congratulated on this wonderful initiative. 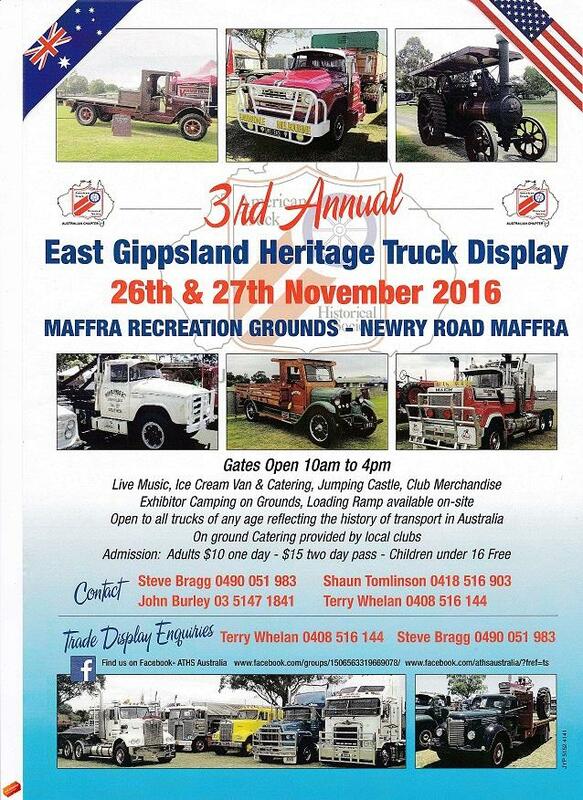 I think this is a fantastic outcome and the Rotary Club of Maffra would like to DG Lynne Westland and the district executive for their assistance. a pharmacist from Traralgon, gave an interesting talk on various aspects of the pharmacy industry and how it has progressed over the years. Tim got off to a shaky start by detailing his friendship with Steve Dwyer, and how they had acted together in various plays over the years with the Sale Theatre Company. We forgave him though, and listened intently as he delved into the past and produced a couple of interesting books; an old prescription book from over 50 years ago, and a formulations book which was about 20 years old. Tim told us that he rarely mixes formulations now, and they are mostly creams. He believes the future of pharmacy will be a centralised data base, which would hopefully prevent patients doctor shopping and getting more than their prescribe dose of medications. A typical day for Tim would involve filing approximately 450 prescriptions, making up 2 preparations, talking to doctors around 4 to 5 times, and visiting nursing homes to talk to patients and keep up to date on their medications. A number of questions followed, which showed how interesting his talk had been, and he was warmly thanked in the usual manner. Our new Rotary Exchange student, Bjarne Gienapp (BJ)gave his presentation to the club on Thursday 1st September. Bjarne is sixteen years old, he is sponsored by Gifhorn-Wolfsburg Rotary Club in Wolfsburg, Germany and he hopes to study medicine or dentistry in the future. Both of Bjarne’s parents are dentists, so he should be right at home talking to Roger Malouf. 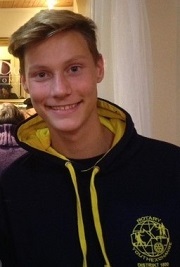 His father, Thorsten, is a member of the Lions Club New Generation Wolfsburg, and his mother, Claudia, is the youth exchange officer of the Rotary Club Gifhorn-Wolfsburg. His sister, Amelie, is a model, and BJ also does part time modelling. Wolfsburg is a city of some 120,000 and is where Volkwagen have their head office. In Germany, Bjarne attends the Theodor-Heuss-Gymansium (THG) in Wolfsburg where he studies Music, Sport, Maths, Chemistry, Art, Religion, Biology, English, Latin, History, Physics, Geography, German, Politics. He finished Grade 10 in June before leaving on his exchange. This school has approximately 900 students. Bjarne has travelled extensively including to China, Canada, USA, Namibia and South Africa. He also likes every kind of food and is looking forward to how Australia “Tastes”. Bjarne says that “in my free time I like to go wake boarding and kitesurfing. I am quite sporty that is why I play Volleyball too. But listening to music is also a nice way to calm down from a busy day. My genres are pop and rap.” He has chosen Collingwood as his footy team!! His first host parents are Nathen and Natasha. We all welcome Bjarne to Australia and in particular to Maffra and the Maffra Rotary Club. Tonight, Graeme, Dianne and Ted were presented with their Paul Harris Medallions, making a week of celebrations for these worthy recipients of this honour. 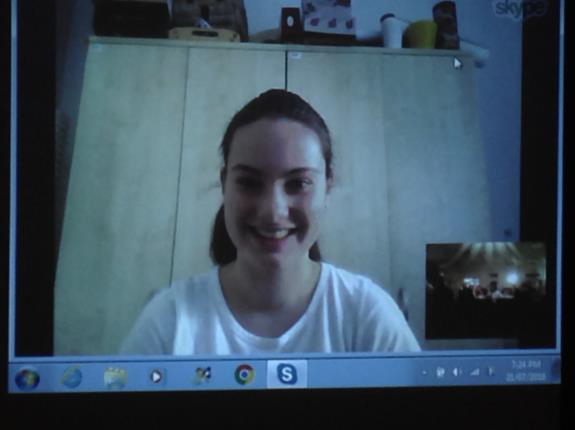 Tonight we had the privilege of participating in a SKYPE session with our exchange student in Poland, Emma Chrisp. Emma’s parents, Cyndi and Richard, along with her sisters Chelsea and Kayla and French exchange student Lucie, were at the club to facilitate the session. This is an image of Emma during her Skype conversation, a summary of which is in this weeks Bulletin. President, Ross Neilson presented Sue with the clock which was made for the club’s 50th birthday. Each future club President will host the clock for their year. The inscription on the back of the clock tells us it “was crafted and manufactured in Geelong in 1997. The clock case is from local forest red gum nearly 100 years old. The timber was from the former home of a charter member of R.C. of Maffra Rtn. A.G. Beech at 15 Queen St”. Many thanks to Neil Wishart who has, since this photo was taken, refurbished the clock and painted the clock hands blue. President Ross reminded us of our club changeover next week and the Maffra Farmers Market on next Sunday 3rd July. Rotary Club of Maffra Mardi Gras 2016 Launch! Maffra Mardi Gras 2016 has begun the fundraising season with 5 entrants competing for the honor of being Miss Maffra Mardi Gras 2016. There are five entrants this year in the 2016 Rotary Club of Maffra Mardi Gras. They are (Back LtoR) Katie Armistead representing Sale City Football & Netball Club, Jess Humphrey representing Groundwork Youth Theatre, Emma Jones representing Maffra and District Car Club, (Front L) Kelly Cairns representing Maffra Gymnastics, and Courtney Savige representing Maffra District Hospital. 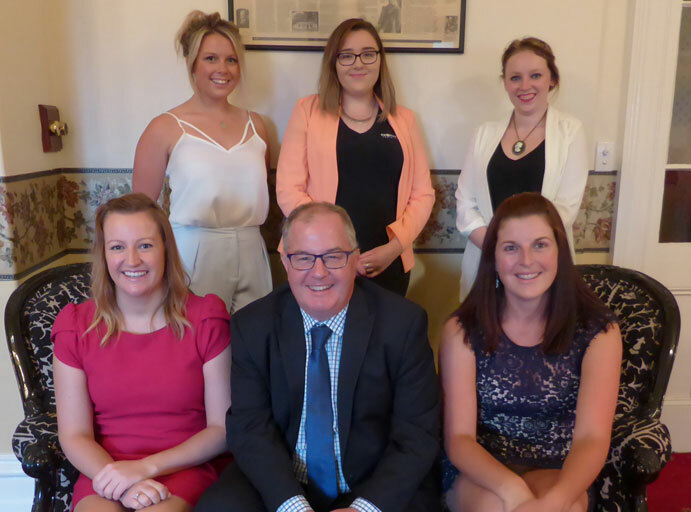 The launch of the Rotary Club of Maffra Mardi Gras was launched by Wellington Shire Counsellor Darren McCubbin (Front Centre) on Thursday 4th February at Duart Homestead. DEDICATION TO THE MEMORY OF PAT CAMERON. 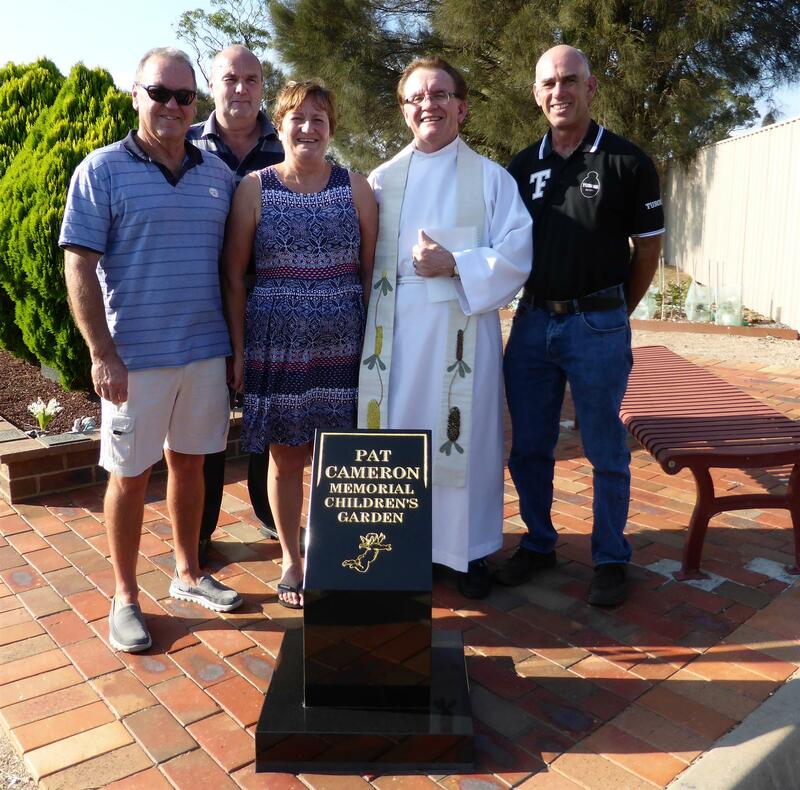 Pictured: Pat Cameron's children, David and Peter Cameron and Beth Lanigan with the Rev. Graham Knott and Maffra Rotary President Brian Gray. Youth Exchange Students return and depart! Mathieu Dorval arrives from Canada; Cailen McLean returns from her year away in Buffalo NY USA and Tanika Smith has departed for a year in Tampere, Finland! Maffra Mardi Gras Launch 2015! 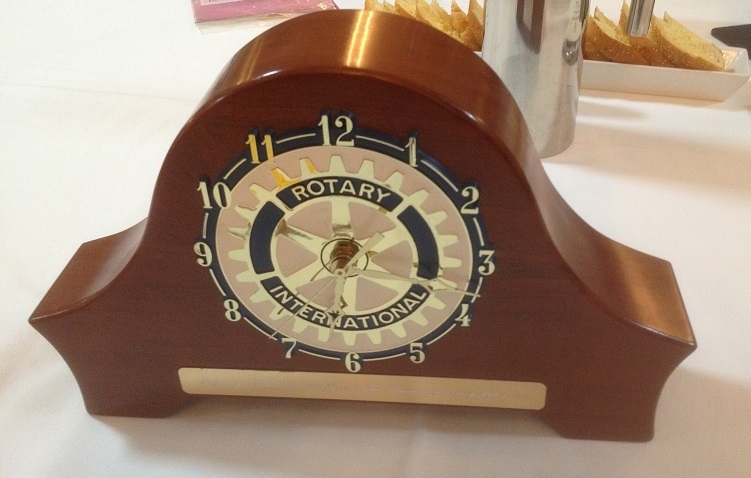 The end of the Rotary year is fast approaching with only 2 months to go. There are some important dates to keep in mind including the trial of the car boot sale on May 10th, the School of St Jude fundraising dinner on Thursday 19th of June, the District Changeover dinner & our own Changeover dinner. 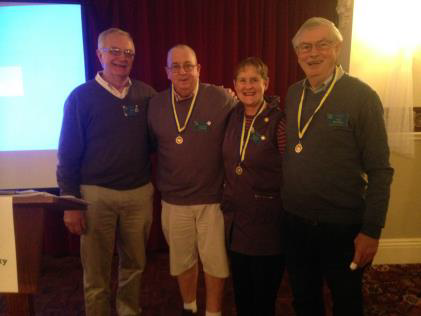 We have welcomed four new members to our club this month. They are Veronica & Stephen Dwyer, Eddie Alvarez & George Duursema. We look forward to a long, and happy association with them and their families. The proceeds from the car boot sale will go toward our Youth projects. The fundraising for the School of St Jude includes a raffle for a portrait sitting & a framed african photo both kindly donated by Kerryn Gannon. The Tinamba Hotel have donated a meal voucher for two. Who could forget our first "Is It The Truth?" held earlier this year? A night of intrigue as we listened to three speakers spin a plausable yarn about an object that was displayed before our eyes. We had to decide who was speaking the truth and who was spinning a good yarn! The object was something that isn't seen very often if at all today in the form presented to us. It was very intriguing. Next Thursday 7th of November is our next "Is It The Truth?" night. Come watch, listen and try to pick the yarn spinners! A good funny and enjoyable night for sure. Our next Partners & Friends of Rotary night is being held on Thursday 31st October, 2013. A guest speaker will be presenting on the topic of "Understanding Organ & Tissue Donation". This presentation will give us all a better idea on the what, how and why of donating your organs and tissue. Understanding Organ and Tissue donation is the very interesting topic for our next Partner's and Friends of Rotary evening. This special evening is scheduled for Thursday 31st of October, 2013. Bring along prospective members, partners, wives, husbands and friends to listen our guest speaker explain this delicate, emotional and complicated issue.